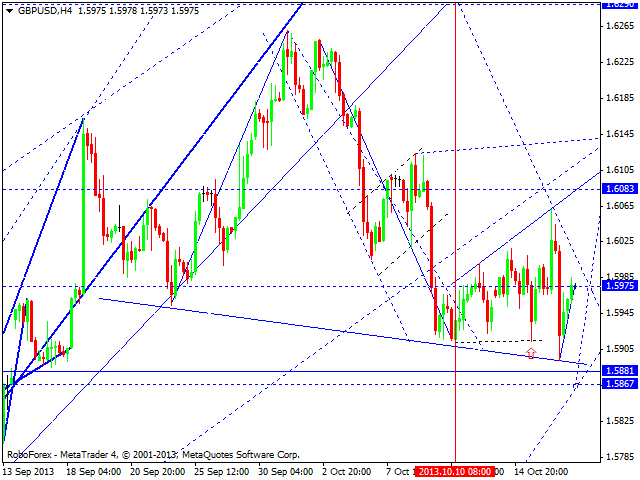 Euro couldn’t continue forming its ascending structure and reached a new minimum. Right now, the market is attempting to form an ascending impulse again. We think, today the price may reach a new minimum one again and only after that start forming a new ascending impulse. 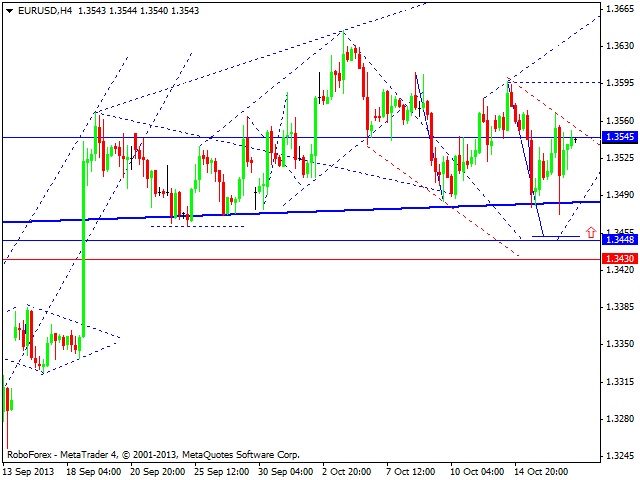 Later, in our opinion, the pair may continue growing up towards the target at 1.3750. Pound also couldn’t form its ascending structure and reached a new minimum. Right now, the market is making another attempt to start an ascending movement again; so far it has formed one impulse. We think, today the price may reach a new minimum and then start forming a new ascending structure. 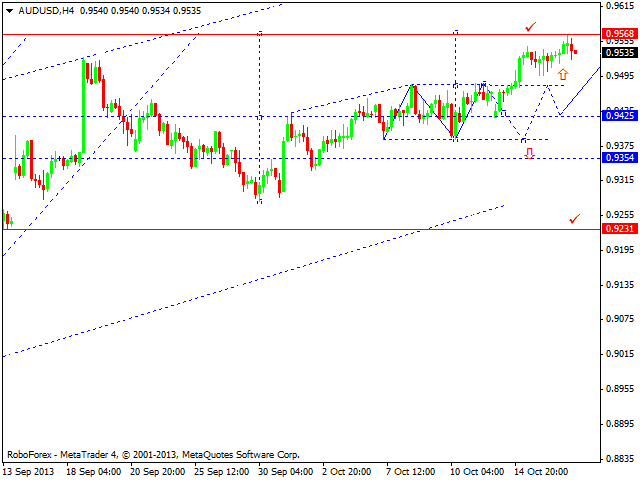 the target remains the same – 1.6080. Franc corrected its ascending impulse without reaching a new maximum and may still continue moving downwards. 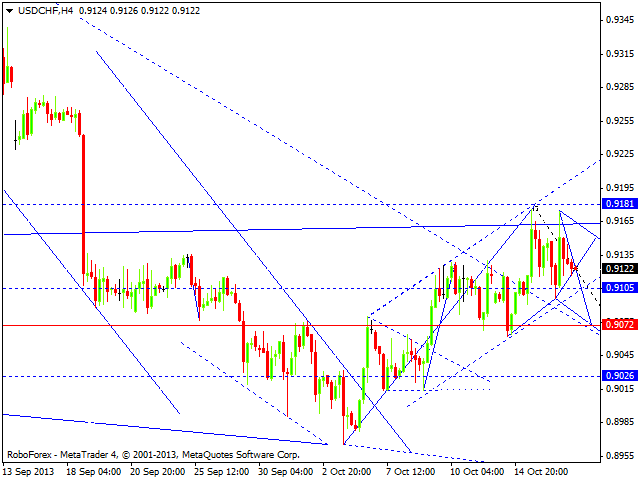 We think, today the price may continue falling down towards the level of 0.9072. An Alternative scenario implies that reach the level of 0.9180 in the first place and only after that start forming a descending structure. The target is still the same. After reaching a new maximum, the USD/JPY currency pair started falling down. 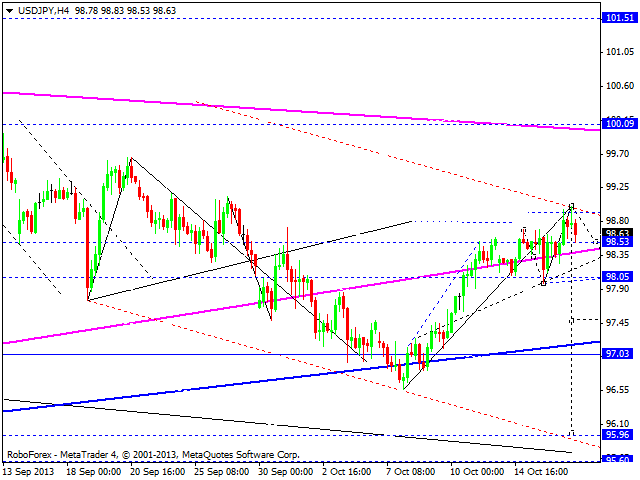 We think, today the price may move downwards to reach the level of 98.05 and then test the level of 98.53 from below. Later, in our opinion, the par may from another descending structure towards the level of 97.00. The main target of this descending wave is at the level of 96.00. Australian Dollar reached its local target of the growth. We think, today the price may form a reversal pattern and start forming the fourth correctional wave with the target at 0.9230. 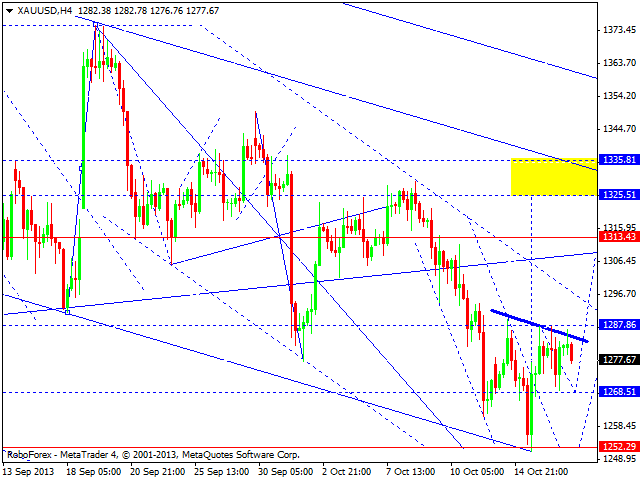 Gold is moving downwards inside the right part of head & shoulders pattern and forming five-wave flag pattern. We think, today the price may reach the target of this flag at the level of 1268 and then beak the pattern’s upper border. The first target is at 1287. Later, in our opinion, the instrument may continue growing up towards its local target at 1307.